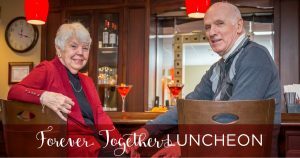 We are so excited to host, once again, our very popular Forever Together Luncheon! Join us for a complimentary celebration lunch for two on Wednesday February 20th, 12:00pm – 2:00pm, where one lucky couple will win wine and dinner for four. Please RSVP by February 14th at 203.490.4651. Don’t wait because seating is limited!